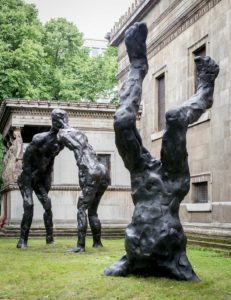 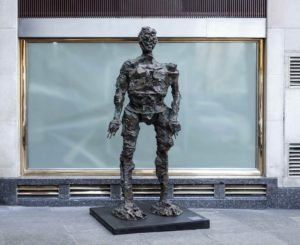 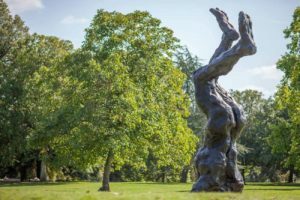 David Breuer-Weil’s monumental bronze sculptures will be recognisable to many Londoners after high profile installations in Victoria, King’s Cross and the West End. 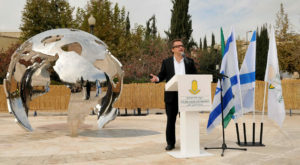 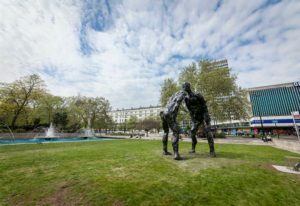 His latest sculpture depicts the virtually impossible – a magical sculpture of a flying man taking off from Marble Arch. 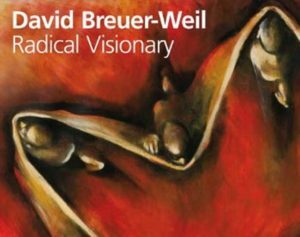 A hallmark of Breuer-Weil’s monumental works is the very physical nature of the pieces with their deliberately textured surfaces and, when creating this work, he spontaneously covered the surface of the sculpture in pictures and words. 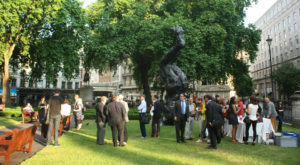 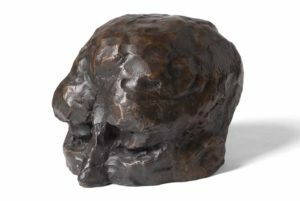 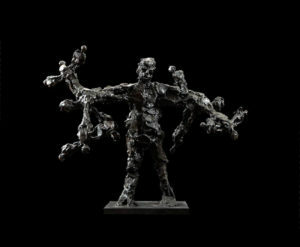 While sculpture, especially bronze, is often thought to represent weight and place, the image of the flying man represents the opposite – weightlessness and freedom. 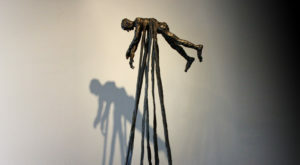 Flight shows an airborne man – the quintessential modern image of a human on the move. 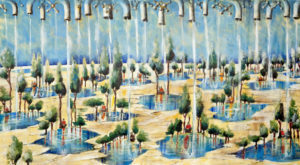 In today’s world, nobody is bound to one particular place and we think nothing of travelling thousands of miles in one day. 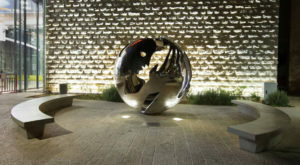 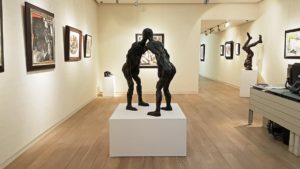 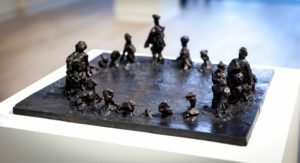 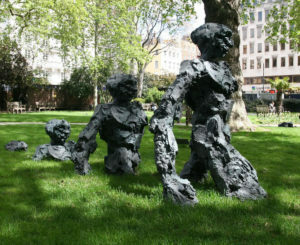 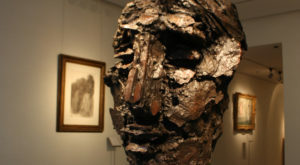 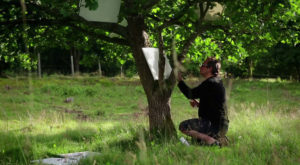 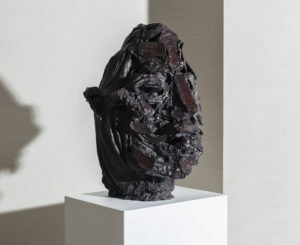 Other works by the artist can be seen in Cavendish Square, Portman Square and against the backdrop of the Saint Pancras Church on the Euston Road. 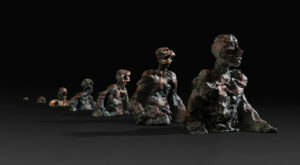 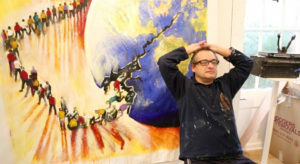 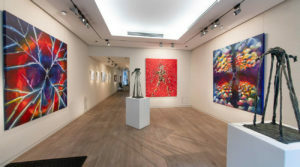 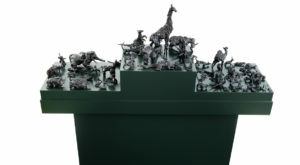 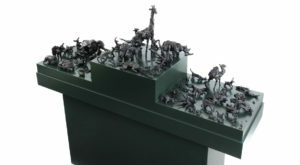 Flight is exhibited in conjunction with Christie’s Private Sales.